As the technology behind publishing continues to expand, so does the technology behind being a reader. There is no shortage of companies who offer similar digital experiences, but truly unique and innovative contributions to reading technology are not as plentiful. One technology, Autography’s ebook signing software, offers not only a new twist on the traditional book signing, but also creates that bridge between authors and readers that has become so much of the important branding work authors of any publishing model must do. Today, Autography and HarperCollins announced their collaboration that will make Autography’s ebook signing software available across every genre that the publisher puts out. This signing capability is especially important in light of recent news that stand-alone titles–even those traditionally published ones–have the potential to outsell their print counterparts, like Orion’s release of Gone Girl by Gillian Flynn. 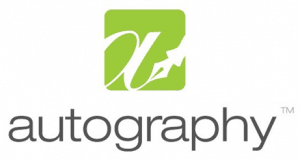 Autography has already clearly demonstrated the ability of this technology to bring together writers and fans. With its first online Spreecast event with romance author HP Mallory, hosted by GoodEReader, and its more recent event with And Then She Fell author Stephanie Laurens, the potential for virtual signing events is limitless and cost-effective. At the same time, live events, such as at this weekend’s RWA conference in Atlanta, authors can forge even greater connections with their readers by embedding a photo author page of the author and the reader, complete with a fully unique signature and dedication (as opposed to signing platforms that simply embed a pre-written signature). One of the obstacles publishers have faced in terms of embracing technology like Autography is the effort it takes to report sales of these signed editions in order to impact bestseller rankings. HarperCollins has been able to see past that barrier and focus instead on the ability of this option to reach out to readers.